Today's card is a simple card that can be made in a few minuets. You know when you've forgotten a birthday or you need a quick thank you card, well this card hits the spot. 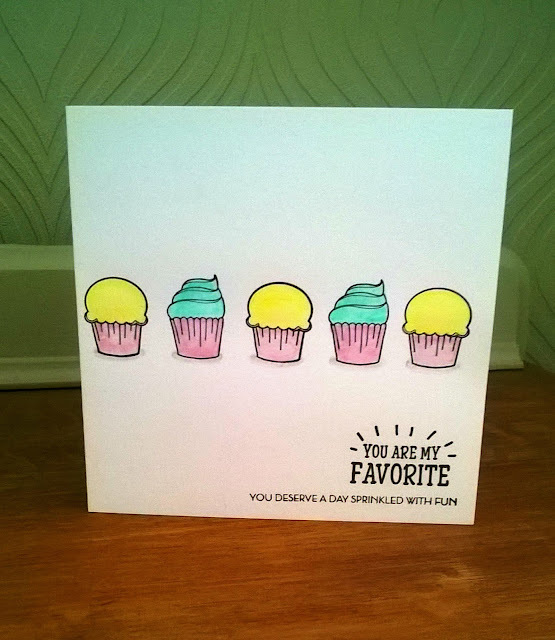 I stamped the cup cakes and sentiment in Versafine Onyx Black, laid down a little colour with water colour pencils, lightly washed over with a water brush pen, a quick blast with my heat gun and hey presto you have your self a super cute card.